Last night I went to Waddesdon Manor again – this time with my camera which I had forgotten the last time (face palm, as my niece would say). 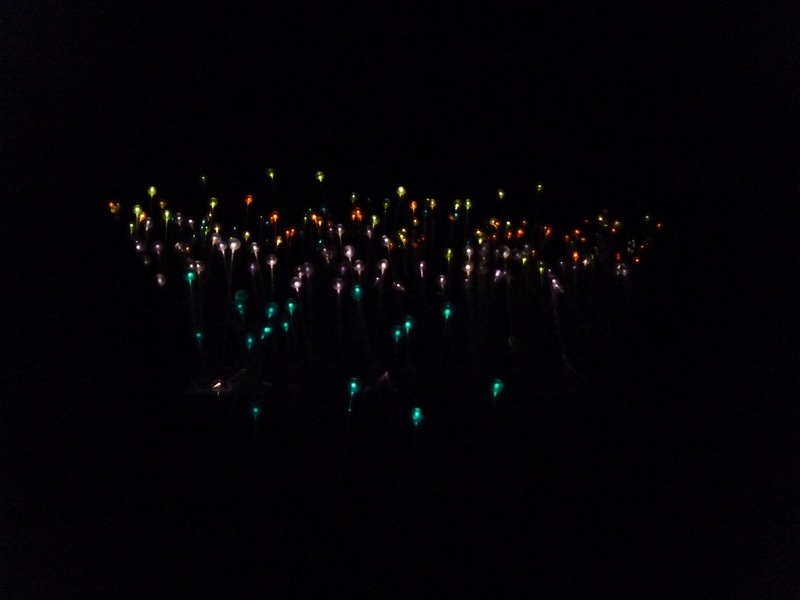 My purpose in going was to photograph the light installation by world-renowned artist Bruce Munro. 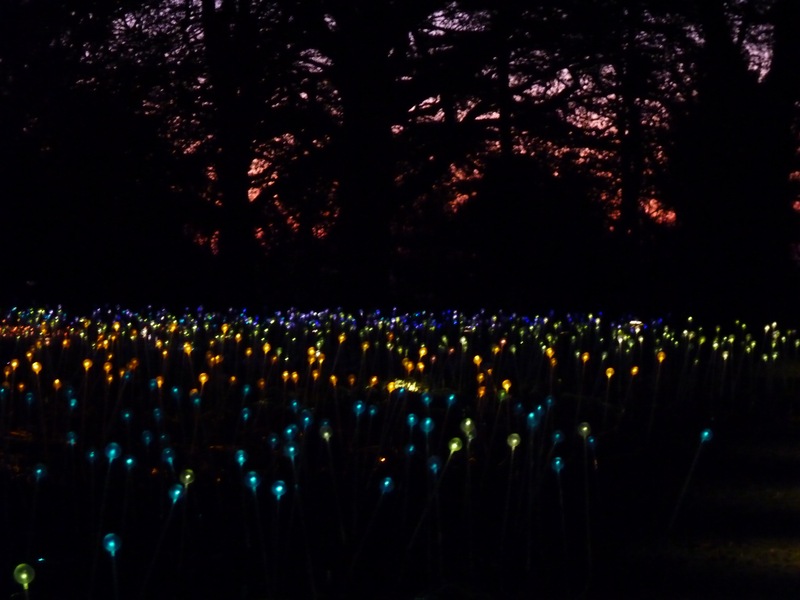 Named Field of Light, the installation is made of 9,000 lights “planted” in the Manor grounds. During daylight hours they looks particularly uninspiring. 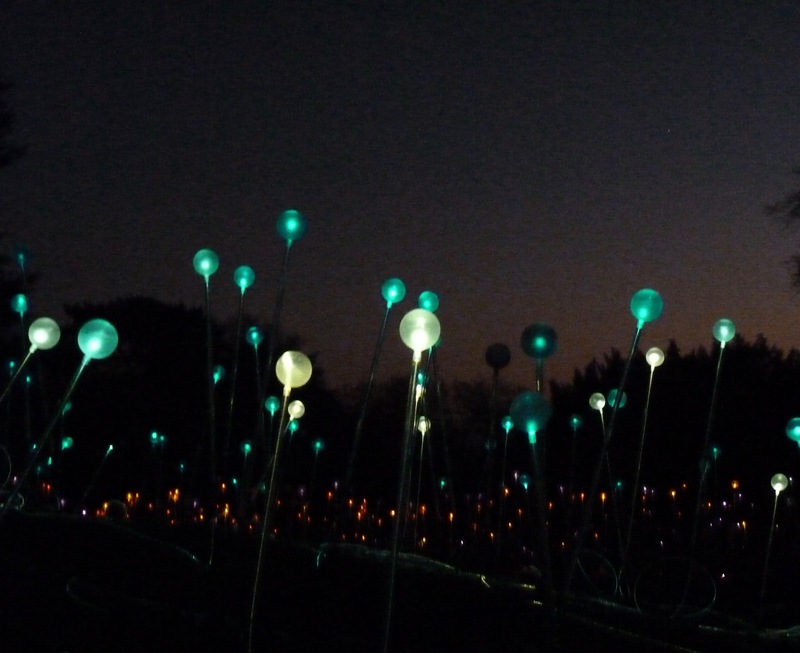 Once darkness falls however, they light up and take on an ethereal beauty. Or city lights seen from afar. 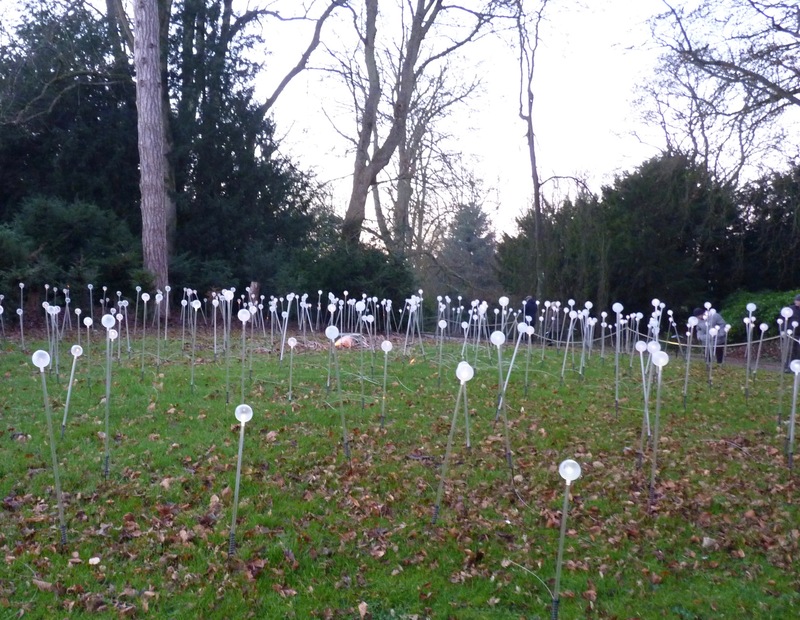 It is a really beautiful exhibition and sadly is only on for a few more days. It finishes on 2 January 2017. Catch it if you can…and don’t forget to take your camera. Like what you see? Remember you can follow me on Facebook, Instagram and Pinterest to see more of my lovely makes. 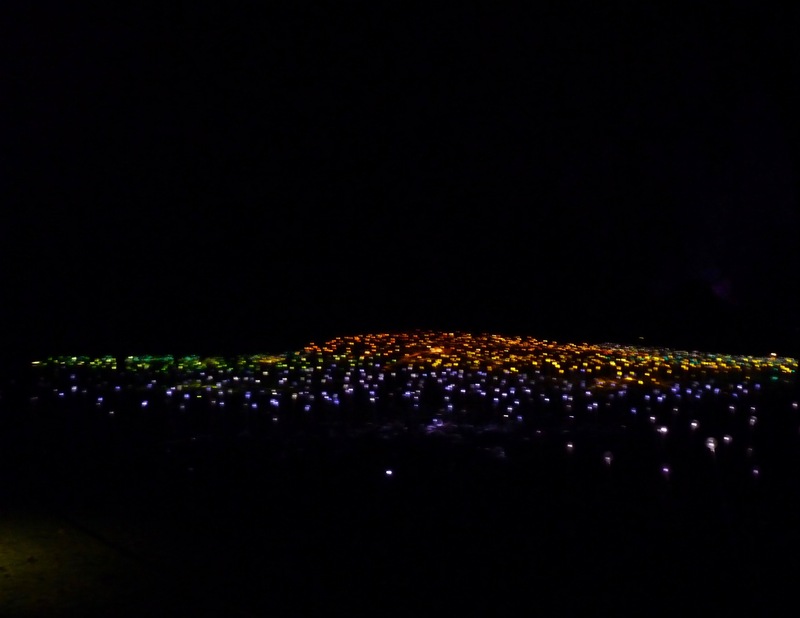 This looks much prettier than last years display of illuminated tents! I must book early next year so I can get tickets to go into the house as well. I’m with you there, Sam. 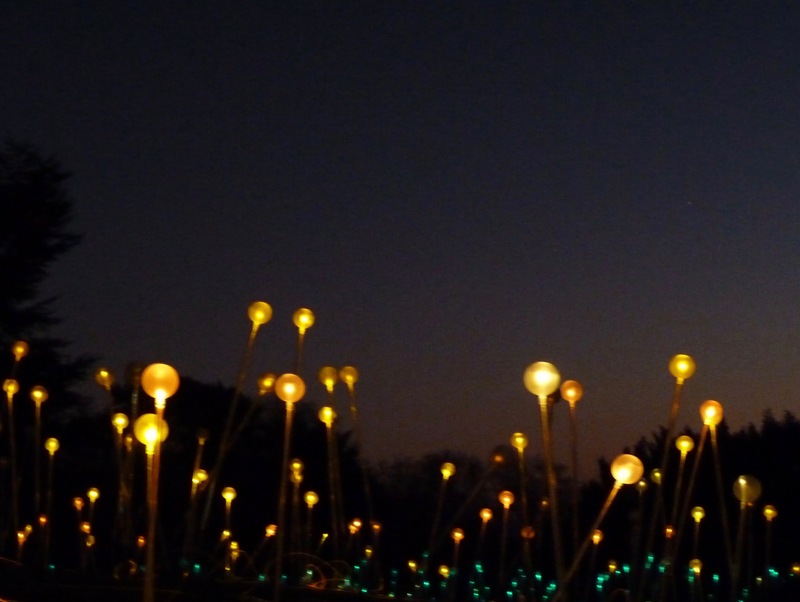 I think that this installation is much prettier than the tents. 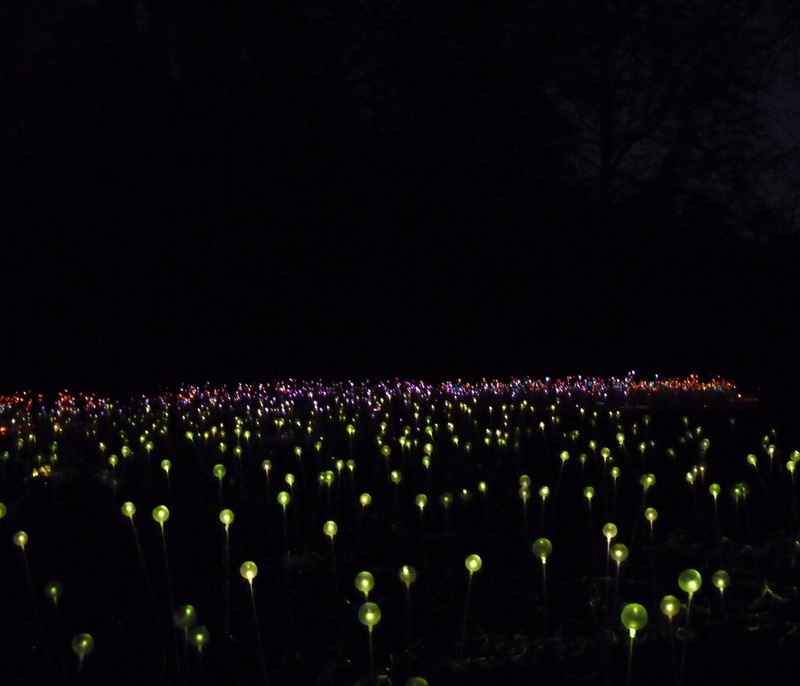 Even though you might not be able to access the house (although they do still have day tickets available on the day) it is worth going just to see the illuminations. The gingerbread house which is in the stables is accessible too.